Hello and welcome, Kerry. I hope you find this space helpful and encouraging. Blessings to you! Welcome Kerry! We have a place at the table prepared for you. Hello Kerry, welcome to CC. I hope you'll enjoy your stay here. Thank you Dino I appreciate that. Welcome Kerry, glad to have another fellow NZer on board! 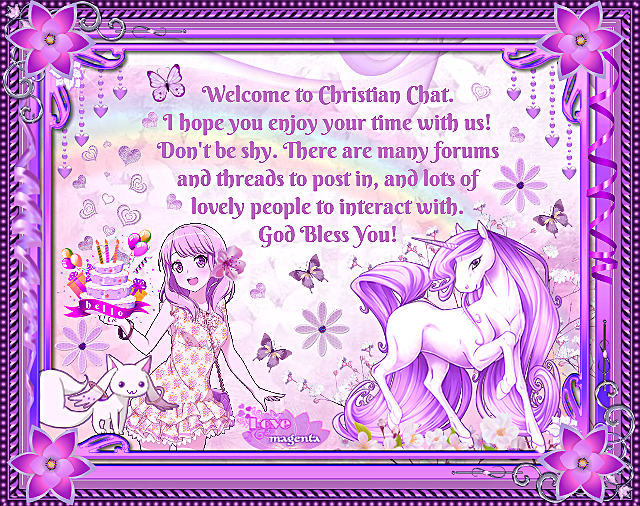 Hello and welcome to Christian Chat! Hello and welcome to CC. Jump right in and feel at home !